If we could give the "Rumour" prefix on this news story additional emphasis, then we would - because this one needs to be taken with a sizable pinch of salt. Japanese magazine GameLab is reporting that the delay of Monster Hunter 4 on the 3DS isn't due to quality improvements - as stated by Capcom - but because the game is being developed simultaneously for the PS Vita, and both versions will launch at the same time. Monster Hunter is a series that is very close to the hearts of Sony fans - it's the reason the PlayStation Portable was able to claw itself back from the dead in its struggle with the Nintendo DS a few years back. Ironically, Nintendo and Sony find themselves in a similar position today - the 3DS is dominating while the PS Vita's sales are - to put it bluntly - in the toilet. However, history doesn't always repeat itself and we'd be shocked if Nintendo allowed Capcom to pull the rug from underneath it in such a fashion. 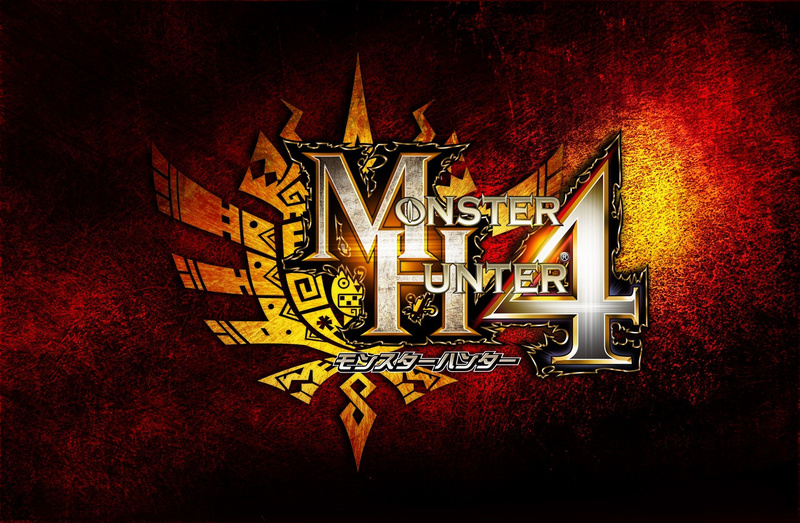 Monster Hunter 4 may well end up on the PS Vita in one form or another in the future, but the idea of its suddenly becoming a simultaneous release on both 3DS and Vita is unthinkable - especially as Capcom and Nintendo seem to be enjoying a pretty positive relationship of late. Plus, the 3DS offers a much larger market for Capcom right now - it's just sold 10 million units in Japan alone. What are your thoughts on this rumour? Do you think there's any truth in it, or is it a load of old cobblers? Drop a comment below to let us know. If it's the same game then wouldn't it be an idea that can backfire for Capcom? Wait why is Capcom releasing it on both systems something we are panicking over? I don't see why it's so terrible. Not that bad really, having it launched on Vita will still not make it up for the large discrepany of software library. Still a good news to Sony Fanboys. What do you have against the PS Vita? It deserves Capcom's love just as much as the 3DS does, even more if you consider the series got it's start on the PS2. Why would you "hope this doesn't happen"? Seems pretty selfish. All I want is a new Monster Hunter for the Wii U - to go with the Ultimate Tri edition this year. I'm kind of apprehensive about buying a Monster Hunter game on a handheld. Don't get the concern, really. Player base might end up being split... but there should be plenty of gamers on both sides. I don't quite believe the rumor though. It seems more likely to me that Capcom would finish and release one game, and then do an upgraded port for the second system. (How many times has Tri been released with minor upgrades? Or think back to the trilogy of Freedom releases on PSP.) Delaying a profitable release so that you can release on a system that has sold very poorly at the same time just doesn't make financial sense to me. If the rumor is true, well... the more hunters the merrier. Hmmm...this could be interesting very interesting. On one side of the coin this would greatly increase the Vita's sales in Japan, but on the other side there are 10 million + 3DS's in Japan already and what like a Million Vita's? This is exactly what the Vita needs, but I can't really see it being that helpful for it at this stage in the game. A few more Vita's may be sold, but I think the 3DS will still benefit the most from this game. I would hope it's true. Been playing MHFU on the the Vita, and I still very much prefer to claw over using the 3DS' touch screen for camera. Not to mention there's no import dilemma if it's on both systems, assuming it either: won't come out in the west, or will take ridiculously long for it to. I am a little enjoying the Vita not being that succesful. I remember many arrogant Sony articles towards Nintendo's 3DS. if it's true, then more power to PS Vita owners. But I remember hearing that this was going to be a exclusive to Nintendo. I don't have a problem with it either way though. Why shouldn't Sony have Monster Hunter on their systems? This wouldn't surprise me even the slightest, after all it is Capcom we're talking about here. I'm pretty sure they actually enjoy the idea of breaking exclusivity, considering how many times they've done it in the past. For reference this magazine has a history of reporting rumours of this sort including one about Dragon Quest IX being reworked for PSP... and we saw how well that worked out. I hope they don't do this. I don't care if sony fans are hurt. They were doing most of the trash talking when the 3DS's future was uncertain, oh how the tables have turned. Well it would help the absolutely poor sales of vita in japan, but it wouldn't improve sales anywhere else. I don't want Vita to flop, so if this would help it, I want it to be true. I don't see why this would be a bad thing,I have a Vita and it sure could a use a new MH game. And I don't think it would hurt 3DS sales anyway,Most people who would buy a 3DS for monster hunter have/will have already bought one for Tri G.
Good for Sony and not so bad for Nintendo except many PSP owners who haven't upgraded to a next gen handheld may well buy a Vita instead of a 3DS. If it indeed is ciming to the Vita I wonder why Capcom or Sony don't announce it? They would've said something already...even if it were true...I wouldn't care, still would get it for the 3DS. I own a PS Vita and I'd rather buy this game for that console, I think the second analog stick would help a lot and, well, on that screen it would look better. But there's no way they could launch both versions simultaneously, come on. I think the "We hope this isn't true" part refers to the simultaneous PSV development and release being the reason for the delay, not that there will be a PSV version. I hope this is not true and in case it is, hopefully it won't be a simultaneous launch. It'd be a risk for Capcom, especially since the portable/mobile gaming environment is different now than what it was last generation; something that few people on the Internet seem to understand. It costs money to port a game, especially if it includes graphical adjustments and whatnot. To port a game to a struggling platform while still spending money to finish development on the the original platform (which is where most of the sales will be coming from) will be pretty risky. Less attention would probably be put on the port, which is what happened to all those hastily made Wii U ports (Wii U being new, instead of struggling). A) A direct port. Many people will opt for 3DS, since they already own it and since there's a more attractive library so far for the Japanese. B) Vita is a struggling platform, barely able to make sales even when compared to 3DS' horrible first year. Yes, 3DS had a bad first year, but nothing compared to Vita's. PSP apparently didn't do too well in its early days due to being a new portable brand. MH helped PSP to survive the DS onslaught, but only because it was a portable port of popular title that couldn't be found anywhere else. The gaming landscape is different now. It'd help Vita if this was true, but not as much as some people are expecting. Personally, I'd rather them focus on 4 for 3DS, then make a P4th for Vita (maybe V4 just for naming schemes?) soon after for the Sony gamers (doing a similar system as with 3rd gen, with Tri on Wii, P3rd on PSP, and 3G on 3DS/WiiU). Then they can put full attention on making 4G for Wii U and fully take advantage of the hardware. I hope it's true. That way I get to play it with prettier graphics and dual analogue. I think it would be nice to have it on both platforms. I recently bought a 3DS just for 3U and MH4. But the more gameplay I see, the more I realize how hard it will be to control on the 3DS. This is not happening though. No matter how much you wish it will. With the Vita's low sales; Sony is very financially frugal and will not risk the development costs to put MH4 on a failing console. I love the Vita's hardware and capabilities, but it will need a lot of help to come back from the dead. Conspiracy theory: Is it a coincidence this news comes out so soon after hearing that 3DS has already topped lifetime sales of PS3 in Japan? Isn't the mag who started this rumour unreliable? They said that DQ9 would def be ported to PSP and it never happened. Its surely more likely that Caps are planning a Wii U MH4 release with connectivity!? because everyone will write off the 3ds one right away that's why it's a big deal. even though its made for 3ds with great 3d effect and graphics and option to use the circle pad pro. all we will hear is the vita version has twin stick control even though monster hunter 3 played great with 3ds'es touch screen. and it will have the slightly better graphics eso that must make it better that's the point. we all know this to be true.it's not us hating on vita cause good for them.all they will they will do is hate on us all day its the truth. @VGigginox Um, Capcom's the one who'll do the developing. All Sony has to do is give them incentives to put it on their console, which they can and should do. Though, I will say that a port will happen eventually, if not immediately. It's Capcom for crying out loud. They're the king of Ports and Remakes. Always have been. Cool if they port it to the Vita or whatever. I'll buy the 3DS version anyway, love the crisp 3D graphics and always prefer that. Has everyone forgotten about the Circle Pad Pro? Monster Hunter would most definitely use it. Delaying the 3DS version solely because they don't have their in-development PS Vita version ready? I honestly don't believe that. Also, wouldn't that be self-defeating? From a business standpoint, putting out the 3DS version and then announcing a PS Vita version would be more profitable as early adopters would have already bought the 3DS version. I'll be happy if they launch it on the Vita too; that 5" OLED screen is far superior to anything the 3DS can deliver, although I do doubt it'll happen. But at least we can hope! @VGigginox you talk as though the vita is already dead, you do know in North America that system hasn't even been out for a year yet? Stop saying vita is dead, people who say that are insanely at this point. Of course Nintendo is gonna be #1 in portable gaming, but honestly, the vita isn't doing as bad as everyone is saying. Btw, Sony's the type of company to release an awesome game like this, no matter what people like you think. And about MH4, this would be a great game on vita, least control wise it would be better than the 3DS version, and with that OLED screen, it would be the prettiest MH game to date! You do know most games get ported. More money. You can not fault capcom if true. The real thing is will this make a difference in the vita going forward. I don't believe this rumor. It would have been announced already if it was going to have the same release date. I think Sony fans are just projecting their want for this game on the Vita. I also agree that Nintendo wouldn't allow it, epecially if they are going to distribute the game like they did for Monster Hunter Tri. That may be fake, but the Sony fans were as desperate as us when they were waiting for something related to MH. Let them be happy as well, folks! Even if it's true, the 3DS version would sell much more. I do however think this would be a good idea. Gives people a choice to pick which console they want to play on. So, Nintendo fans are being hurt because Sony's version isn't ready. Release it twice and double the hype. @AltDotNerd I'd very much like to forget that bulky piece of junk. Furthermore, I personally have a 3DSXL and Nintendo haven't even announced a CPP that would fit one of them. @Arcamenel They need a lesson so they stop bashing Nintendo for no reason. I agree with you. Nintendo fans have always been attacked by Sony fanboys, I can't see why this time we can't pay back. Wasn't Monster Hunter Tri ported to PSP in Japan? @Magnet_Man018, @Arcamenel: The only 'lesson' to be learned by anyone, professed Sony and Nintendo fan alike, is that these things happen to all of us, no matter which systems we choose to purchase in hopes of having something good to play later on. Pointing fingers and trash-talking gets us all nowhere, and in the end, there are no winners. Is it really worth it to continue carrying these hurt feelings you have around with you like a worn-out security blanket? Just play what you like and forget what anyone else has to say about it. Yes. Well kind of. Monster Hunter Portable 3rd maybe the game you are thinking of. It apparently shares a few features with Tri, but it's more or less its own game. I was hoping, as a Nintendo fan, that this would be exclusive to their platforms. Nintendo never co-published this, so it's more free than, say, Professor Layton and Dragon Quest. Wait, the PSVita is out, and has games? Surely, you jest! @edhe Oh yeah, you're right about that. That would limit quite a few people. Heck I'd give other systems a chance at once ninty exclusives in exchange for other system exclusives, maybe MadWorld for anarchy Reigns? This would be a ge boost for the Vita. I do so hope it is true. Ugh... I hate it when something is listed as an exclusive then it's changed. It's kind of a stupid of Capcom seeing as the install base for the Vita is so low. The way I see it? The Vita needs to be taken out back and put out of its misery. I hope that MH4 fails on the Vita if it's true so we can finally bury that handheld with an identity crisis. Damien shouldn't have put ''We hope this isn't true''. It's almost like he's encouraging people to bash the Vita, and I honestly expected better from the staff than seemingly encouraging arguments on which handheld is better. It's unprofessional to be honest. In reality, this is a wonderful thing. I would much rather play this on the Vita because of dual analog support and trophies. Yes, there is the Circle Pad Pro but it's beyond bulky and requires being removed whenever you want to switch games. If Capcom is doing this, then it's likely because it will increase sales of their game. There's nothing wrong with that. Why is everybody stressing out because of the "We hope this isn't true" quote? I hope this isn't true, and no, it is not because I want the Vita to fail. I hope it isn't true because being delayed just so the Vita port can be ready at the same time is bullsh*t. Being delayed because the 3DS version is still in progress and being improved (as the article says) is totally fine. The Vita can have it, but if the 3DS version is being held by the port and not getting improved... meh. So, yea, I hope it isn't true that the delay is due to this. It's not quite dead yet, but it IS doing pretty badly. Once there's a price drop and once Sony stops being silly with their memory cards, and once Vita's better games start hitting the system, it SHOULD start reaching at least half of PSP's sales rate. It's fake. There's no reason for Capcom to bother at this point. As a Vita owner I truly hope this is true. @OverturePT If it was the opposite way around though, with a Vita version being delayed in order to allow for a 3DS version to be made, I'm sure you'd be glad it was happening. If Vita gets it, good on them really. I'd be more concerned whether they release it outside of Japan or not. @Blaze Why do you have to seemingly automatically write it off as fanboyism though? At least he didn't say to drop the Vita's possible development of the game in the toilet, he just doesn't feel like the 3DS version should be delayed just for a simultaneous release. I personally agree if that's the case. Or are you referring to his statement about a PC and Wii U version of a game? If it was the Vita getting it first, then so be it, as long as we'd be getting the 3ds game in a reasonable timeframe(unlike some games who don't see the light on other consoles for a year or 2...yeah). As long as they aren't holding off the release AND making the Vita version some kind of super extended edition; now that would be upsetting. There really is no market to sell this too on the Vita. I'd buy a Vita for this. I personally don't mind since I have little interest in the series but more because I feel sorry for the PS Vita, it needs more games & if this is one of them I hope it brings in more sales. While I dislike Sony's design and business philosophies and seeing the Vita vs 3DS predictions of pundits be horribly wrong is extremely satisfying to me, I would like the Vita to say around. Competition forces companies not to remain stagnant. How much longer would Nintendo have stuck with cartridge based consoles if there were no competing disc based consoles? There would have been little reason for them to move forward. Thus is the basis of capitalism and why it works. Why not, as long as its not hindering the 3DS version more power to them. If it helps the Vita pick up steam and become worth its hefty price tag even . Besides, the fewer third-party exclusives the better since that means platform choice comes down to personal preferences and first-party games or services. I don't see how this is a problem at all. If anything it seems logical to me. I wouldn't be surprised if the game was released on both Vita and 3DS at the same time and I'd love to see cross platform play between the 2 systems with voice chat and a touch keyboard. I'd also like to see the game bundled with the CPP for 3DS and a bigger memory card for Vita. Personally, I find the 2 systems pretty close graphically and wouldn't be shocked to see more games get ported between the 2. If anything, these 2 systems should be sharing their libraries. I honestly hope this is somewhat true. I don't want it to delay the 3DS launch, but I seriously can't think of another decent Vita game right now that isn't a port. Vita needs it a LOT more than 3DS. @EvisceratorX Gravity rush, wipeout 2048, unit 13, golden abyss, mutant space blobs, motorstorm R.C. Burning skies, A.c liberation. It makes me laugh at all the stupid comments on here like " I really hope that vita does not get it" Why? What does it matter to you on a personal level? Exclusive game deals are there for one reason, to make money for the companies involved, i.e forcing gamers to buy a new console to play the latest great game, and we all fall for it! There not doing it as a favour to us. MH4 would play much better on the Vita due to the better graphics and dual analogue controls without the need of the strange circle pad pro. However I haven't played a single game in MH series. I may got one on PSP, they are super cheap. Why would a Vita port be a bad thing? I'll buy this for Vita over 3DS any day of the week. I have a 3DS XL and can't get the second analogue stick for it, so I'm already leery about picking up Monster Hunter 4 for 3DS - I hated the controls without dual analogue for the PSP. @Mahe It's called being biased against other consoles. A Vita port would only expand the titles user-base and increase sells for the title for Capcom. It seems Nintendo fans don't like to "share" their multiplatform titles, which is ironic here, because Monster Hunter started its life off as a Sony exclusive. @nungi "most of you sony fans are kind of ... or imature"
And you're the exact opposite - only it's Nintendo that you gravitate towards, instead of Sony. You're no better than what you're whining about! I Think There Are Pretty Obvious Double Standards Here. @Chriiis Maybe it's not fanboyism, but considering the rest of the comments here, I am finding it kinda hard to believe otherwise. @Raylax Daz is Darren, not Damien. They're both cool dudes though, so no biggie. ^Now you know why teachers got my name mixed up all the time. That's freakin' confusing. I really wouldn't care if they got it or not, but Sven gave everyone a double answer so I'll just assume it doesn't exist until I'm proven wrong. ^You think thats bad, try having one of the most common names in the world. Not only do people some how manage to misspell it, but get me mixed up with other people as well. Jim Sterling's video on the huge stink about the Dark Souls easy mode comes to mind here. "Monster Hunter 4 Delay Is Due To PS Vita Port"
To be honest the ps vita int doing to bad considering its received a huge sales boost due to its connectivity to the ps4, and those fanboys that wanna talk poopie about the ps vita needing to be taken out back and shot what about the wii u that thing is dead and buried, if anything the wii u should be the one getting taken out back and put down I don't get why Nintendo dont just make the 3ds consoles, and Nintendo games for the ps4 and Xbox one, just like sega did, when the dreamcast tanked. All the new mario and zelda games should be coming out on 1080p graphics on your ps4 and Xbox one consoles.